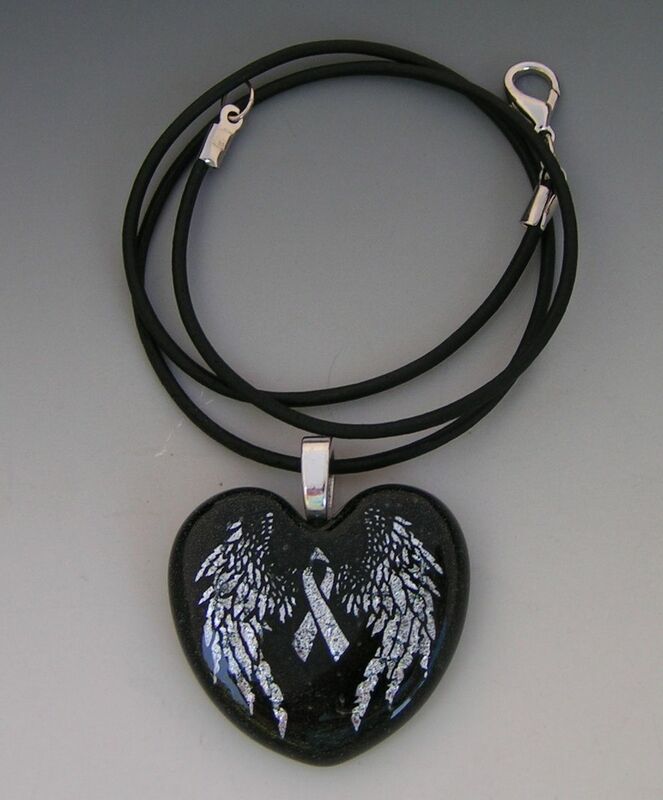 Beautiful dichroic glass heart pendant and necklace for a CustomMade client. Special picture and engraving on front of the pendant. I am so happy with my pendant! It came out exactly like I pictured it. I originally wanted it bigger, but Kim made some great suggestions, and I'm glad she did, because the size came out perfect! I had been thinking about having this pendant made for a while now, but I kept putting it off, because I thought it would be too difficult to try to explain my idea to someone. Well was I wrong. It was so easy! My experience was top notch, and I am excited to place my next order!